Manufacturer & Exporter of Energy Recovery Ventilator System. Our product range also comprises of Phenolic Foam, Insulation Boards. With the assistance of our team of creative professionals, we have become the remarkable manufacturer, trader, importer, wholesaler and supplier of Energy Recovery Ventilator System. Our provided ventilator system reduces the cooling load on the existing A.C. cooling system by recovering sensible (cooling) energy up to ninety percent. The offered ventilator system minimizes energy loss resulting in huge yearly recurring energy savings. 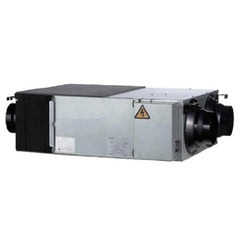 We are giving this ventilator system on numerous specifications as per the needs of customers. Looking for Energy Recovery Ventilator System ?